The Cathedral of Notre Dame, Paris, is buring down. I've visited Notre Dame in Paris a number of times, most recently around this time last year. Each time was an awe-inspiring experience. To see it in flames this evening is horrific. The Cathedral of Notre Dame, Paris, is burning down. Notre Dame De Paris has burned down to the stone walls and facade. The roof and spire have collapsed. The source is unknown but the current guess is that it was tied to the ongoing renovation and construction. Oh, my. It is horrible, but it will most likely be restored in time. It looks like the entire lantern clerestory and spire structure over the altar have collapsed. They were encased in scaffolding. Heartbreaking. It dated from 1163. We've been glued to the live broadcast for the past two hours. We were only there a couple of years ago. Beautiful architecture and so many irreplaceable treasures there. Terrible to see these pillars of history destroyed in this way. If it is linked to the refurbishment then it is reminiscent of the Cutty Sark fire in 2007. That pushed the cost of refurbishment up to £35m. Dread to think of the cost of this fire. Let's hope something can be done. It's hard work being a dog. Wait - so "renovation" can cause a huge stone building to burst into flames??? Very, very sad to see this happening. The loss of the stained glass alone is heartbreaking. "One small heart, and a great big soul that's driving"
Really gutting me. Been there so many times on so many beautiful trips. It really is the center of the most beautiful city I've ever seen, much more so than the Eiffel Tower. For those who haven't visited, the cathedral sits on the Île de la Cité, an island in the center of the Seine that was the original location of Paris. 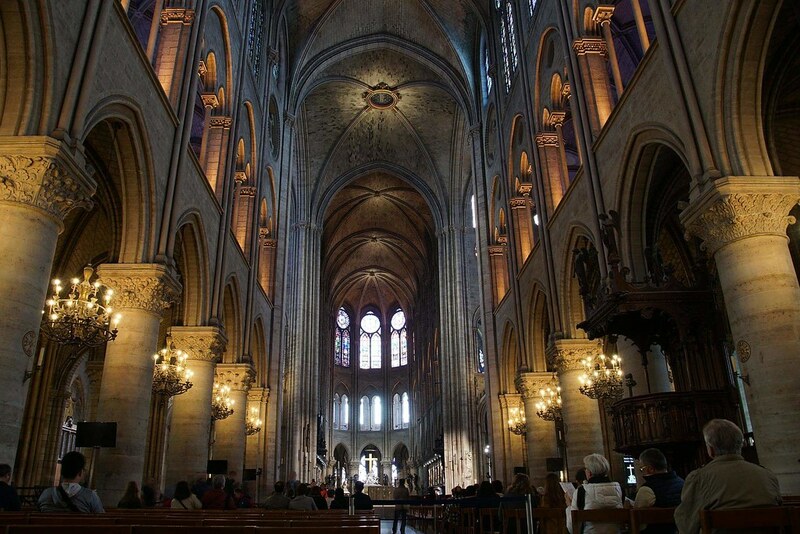 The foundations of Notre Dame were set in the early 1100's. Staggering to think of it. The amount of history lost here is deeply saddening. My heart goes out to our friends in Paris and all of France. Terrible. No one knows the cause yet. Given the timing at Easter week, it's easy to speculate, but we don't know anything. I lived in Paris for 2 years - 1969-70. I'll never forget seeing Notre Dame for the very 1st time. It still had protest slogans from the riots on it.... but was still beautiful. the reason beauty is so precious is that it is so fleeting. I too hope Notre Dame can be saved. My condolences to the French. Teach us what ways have light, what gifts have worth. I had the privilege of visiting this treasure back in the 70s. The entire roof is wooden.